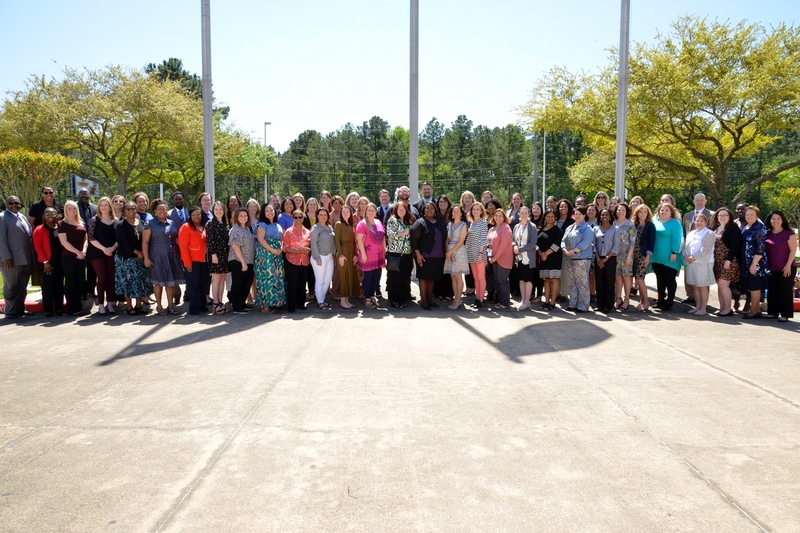 More than 70 teachers were honored at the Chamber's Teachers of the Year luncheon presented by Gulf Coast Educators Federal Credit Union and The Rhodes School on March 26 at the Humble Civic Center. This annual luncheon honors teachers from Humble Independent School District, schools east of I-45 in Spring Independent School District, area private schools and Teachers of Excellence from Lone Star College. The selection process of each teacher took place this winter with one educator from each campus selected by their peers as that campus' Teacher of the Year. The superintendents from each school district and the president of Lone Star College will recognize each of their teachers with an award of appreciation. Marquita Johnson spoke at the luncheon. She is currently a Dental Hygiene Student attending Lone Star College- Kingwood. She shared her story of how area educators have influenced her and her daughter. Awards were presented by Community Resource Credit Union. The Platinum Sponsor is United Community Credit Union, and Gold Sponsors are Club Pilates Atascocita, Hope Photography, Joiner Architects, K&S Sportswear and Math Stackers, Inc. and Texan Dodge Chrysler Jeep Ram. Awesome. I know those teachers from St Mary and they are great teachers. I didn't know we had a performing arts school out here. Good job educators! @AtascocitaDotCom : Congrats to all the teachers that were honored. I recognize a few names on that list.